Skull (1998-present) is a Speed Metal band from Cali, Colombia. ith the membership of Jonathan Vega (guitars/Back. 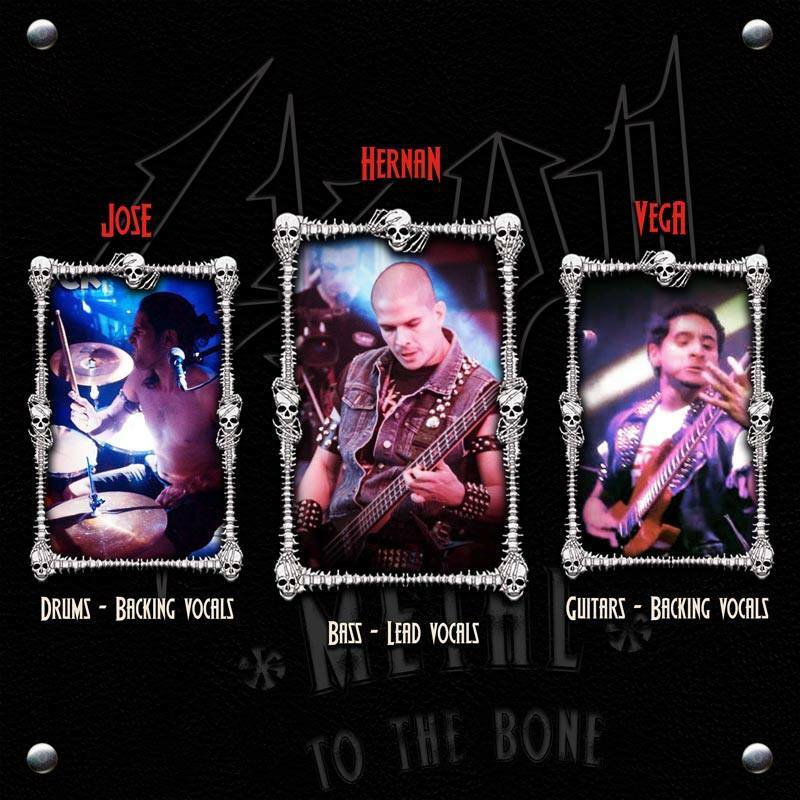 vocals; ex-Hell's Artillery/Infernal Maniak), Hernán (bass/vocals), José Sánchez (drums; ex-Infernal Maniak; joined in 2009) they would release Beer, Metal, Spikes (2005), A Night of the Battle City EP (2009), Dead in Peru (2011; live), Collection of Craniums - The Worst of Skull Compilation (2011) and Metal to the Bone (2015).